I am a subscriber of Wendy Corsi Staub’s newletter and wanted to share. 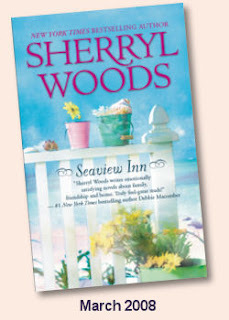 She has a new book set for a May release. A summary about the book. If you are ready to have the scream of your life than you need to read One Last Scream. New York Times Best Selling Author, Kevin O’Brien has done it again. I read this book and couldn't put it down. Warning: You will have to keep the lights on or you might be the one to scream. Eleven years ago twelve women vanished without a trace and their whereabouts are still a mystery. Amelia Faraday suffers from blackouts, so when she has a vision of something terrible happening to her adopted parents and her aunt she can’t help but feel that she may somehow be responsible for their deaths and the deaths of others. It seems like the deaths of her parents and her aunt was a murder–suicide case but that all changes when Amelia sees herself killing everyone in exactly the same way they were found. Valentine's Day may be over but that does not mean that you can't still Get Lucky. Check out Joanne Rock's lastest book "Getting Lucky"
He'll do anything to get lucky again! Sports agent Dexter Brantley used to be the luckiest guy on the planet. But between the house fires, car wreck and half his clients dumping him, "Dex the Hex" is a wreck. Worse, there's a rumor floating about a family curse. If he weren't so paranoid, he could swear someone is out to get him! For those of you who like more of the softer side of books vs. the nitty gritty suspense thillers (which there is nothing wrong with that). Here is a book for you. Hannah Matthews is undeniably tough—a single mom, a top-tier PR exec, a breast cancer survivor. On the job and in her family she prides herself on being go-to Hannah, who can handle any crisis. But with her eighty-five-year-old grandmother balking at going into a retirement home, her twenty-year-old daughter unexpectedly pregnant and an old flame suddenly underfoot, Hannah is facing a few crises of her own. And being back home on Seaview Key is most definitely adding to the stress. Luke Stevens has some serious issues, as well. While he was serving in Iraq, his wife dumped him for his best friend, his kids are furious because he left them, and he shared his medical practice with the man who's now sleeping with his wife. 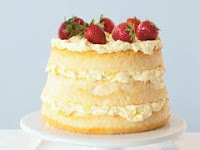 Omit cake. Prepare pudding mixture as directed. Cover and refrigerate several hours or until chilled. Serve spooned into dessert dishes. Here is your chance to win a copy of Lisa Jackson's lastest book "Lost Souls". You can see a copy of it in my slideshow. Here is a quick teaser about the book. #1 New York Times bestselling author Lisa Jackson delivers her most harrowing thriller yet as a young woman’s determined hunt for a serial killer draws her into a twisted psychopath’s terrifying web. 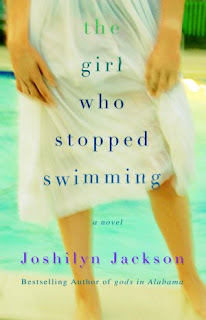 I am so excited to have Jordan, award winning mystery suspense author joining us today. She is the nicest person you could ever meet. Plus, she has three books coming out and you can pre order them all right now. 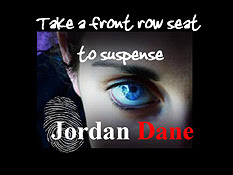 Jordan's gritty suspense plots weave a tapestry of vivid settings, intrigue, and dark humor. She loves challenging a reader's moral barometer with the borderline ethics of her characters and their flawed personalities—dark, angst-ridden antiheroes pitted against unforgettable villains. I have been wondering this question lately. Does it have to have a lot of romance? What about suspense? Or is just because your favorite author wrote the book? For myself it can be a combination of any of those things but I would have to say the most important aspect of a good book is how it all flowed together. Was the storyline easy to follow and did I feel like the author got their point across in the book. I have come across some books like this before where it just seems liked it fell short or something was missing. I would love to hear for all of you on what you think. Warning! If you haven't found that good book than you are in for a treat as I have a guest stopping by very soon. I will give you a little hint on who it is. Hey Everyone! I have some very exciting news to share with you all. Here is a summary of what the book is about.